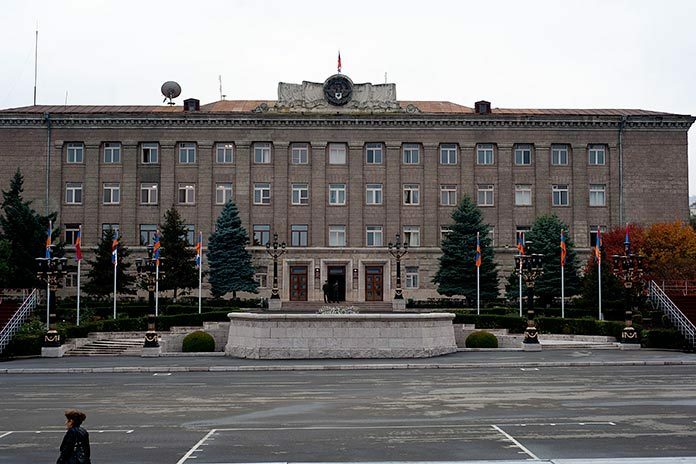 The Nagorno-Karabakh Republic’s Ministry of Foreign Affairs (NKR MFA) insists on the full restoration of the 1994 ceasefire regime after Azerbaijan announced about its unilateral denunciation of the Russia-brokered agreements. After four days of hostilities in Nagorno-Karabakh in early April, the Armenian and Azerbaijani sides verbally agreed to halt fire. However, later, Azerbaijan notified the UN General Assembly and Security Council of its effectively quitting the agreement. Armenia quickly condemned the step, describing it as “provocative”. In its statement the NKR MFA also accused Azerbaijan of trying to scuttle the peace process and shift the conflict into a military dimension. “In doing so the Azerbaijani side resorts to the traditional practice of fraud and manipulations, trying to put the blame on the Armenian sides and thus avoid responsibility for unleashing the war,” it said. The statement by Nagorno-Karabakh’s MFA came amid heightened tensions along the line of contact with Azerbaijan that delivered strikes at the town of Martakert and village of Mataghis in the north of Karabakh on the night from Monday to Tuesday.